AeroTex performed the Trials Management function for a test of a pitot probe at the GKN Aerospace facility in Luton for a commercial customer. The role consisted of planning, running and reporting the test campaign. Three different pitots were tested in both super-cooled water and rain conditions, gathering data on performance in order to support qualification. Richard Moser from AeroTex presented an overview of the GAINS programme (http://gains.meggitt.com) at the SAE AC-9C technical committee meting held in Destin, Florida. The meeting was well attended by representatives of most of the major organisations involved in aircraft icing in North America, South America and Europe. At the end of the meeting there was the opportunity to have a tour of the McKinley Climatic Laboratory at Eglin Air Force base – a remarkable facility! AeroTex performed the Trials Management function for a commercial customer for a test of two different ice protection systems at the RTA icing facility in Vienna. The role consisted of planning, running and reporting the test campaign. An electro-mechanical system and a pneumatic boot system, provided by commercial companies, were tested on different lifting surfaces in order to assess ice shedding capability under different flight and icing regimes. Dr. Ian Roberts from AeroTex presented an overview of the GAINS programme (http://gains.meggitt.com) at the Clean Sky 2 workshop entitled ‘Structural Integration of Ice Protection Technologies’. The workshop was well attended by the key players in aircraft ice protection and there was useful interaction throughout the day. AeroTex participated in the kick-off meeting for the InSPIRe (Innovative Systems to Prevent Ice on Regional aircraft) programme. 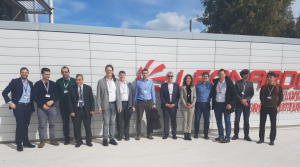 The meeting, held at the Leonardo site in Pomigliano d’Arco, Italy, included participation from all partners within the InSPIRe consortium (AIT, Peak Technology, CEST, Villinger and AeroTex) as well as the topic manager (Leonardo) and CIRA. The meeting was an opportunity for everyone to introduce their capabilities to Leonardo and discuss the work programme. InSPIRe can be found on CORDIS under its Project ID: 785531. The InSPIRe (Innovative Systems to Prevent Ice on Regional aircraft) proposal, submitted against Clean Sky 2 call H2020-CS2-CFP06-2017-01, was ranked as the top proposal against the call criteria, and will now go into the negotiation phase. The call is for innovative, low-power de-icing systems, with Leonardo as Topic Manager. 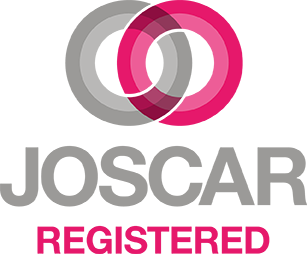 The InSPIRe consortium is led by the Austrian Institute of Technology (AIT GmbH), with the following partners: Villinger GmbH, PEAK Technology GmbH, CEST Kompetenzzentrum für elektrochemische Oberflächentechnologie GmbH and AeroTex UK LLP. AeroTex is pleased to announce that the business has satisfied all requirements to become fully registered on the JOSCAR supplier accreditation register. AeroTex attended the STORM Public Workshop, held on 29th-30th March 2017 at the European Commission in Brussels. This was a good opportunity for all partners in the STORM programme to disseminate their work and demonstrate the progress which had been made. AeroTex performed a 3-day test at the RailTec Arsenal (RTA) facility in Vienna for the first time. This impressive facility allows icing testing on large models down to temperatures of -35C. Originally developed as a climatic chamber for trains, it was recently modified with spray bars to allow icing testing to also be performed. Our thanks go to Hermann, Michael, Otto and the rest of the team for their excellent support.